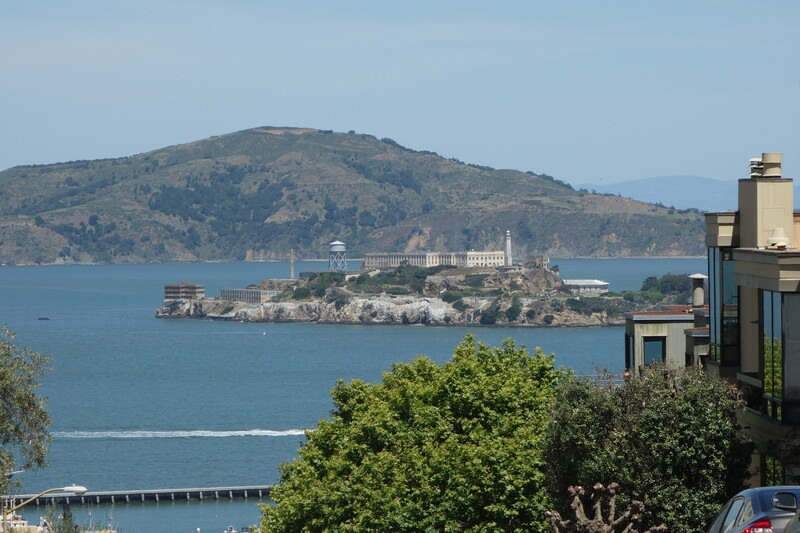 After a long, windy and dark drive from Paso Robles to San Francisco, we had arrived for our day o’ fun! Much too short in my opinion, three more days would have been optimal. But we majorly lucked out with the weather and we jammed in as much as possible in one short day. We were up at the crack of dawn and out of the hotel by 8:30. 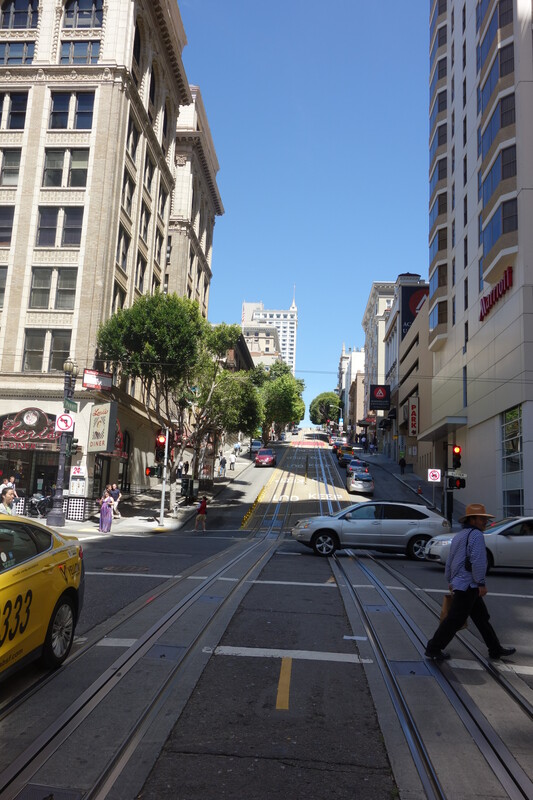 We stayed at the Villa Florence right in the heart of downtown in Union Square and directly on one of the cable car lines. The hotel was a cute boutique and definitely had charm and nice decor, but the rooms were very small and the bathroom was like a tiny closet. I probably wouldn’t stay in the union square area again, it’s just too busy – it feels like Vegas, and the overnight parking was sixty dollars a night. About to head out for the day from Villa Florence! First stop was the bakery B. Patisserie, a Parisian style bakery we had read about online and rated one of the best in the world. 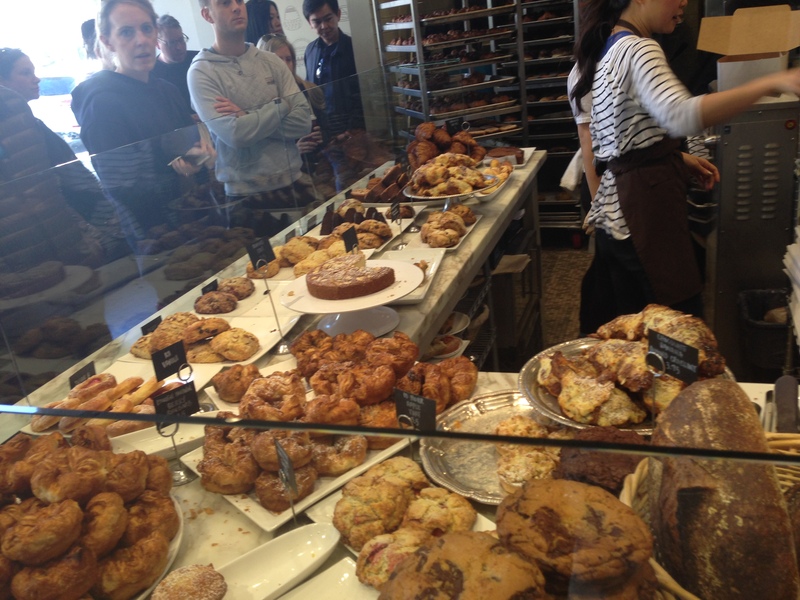 San Francisco has a big bakery and brunch crowd and this did not disappoint. The line up was out the door and down the street, and the treats did not disappoint. I particularly loved the chocolate banana scone and the enormous cookies! 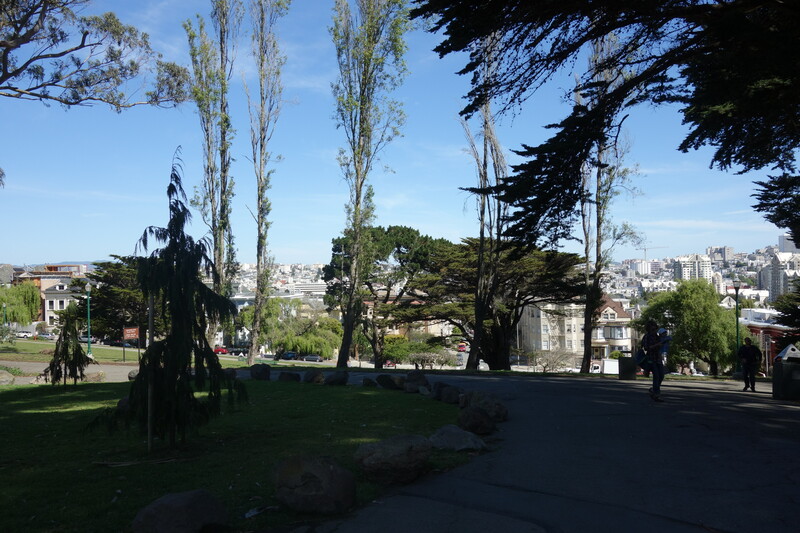 We were then off to Alamo Square Park to eat breakfast and visit the painted ladies. Coffee and baked goods on a sunny Sunday morning in the park, I can’t think of anything better. 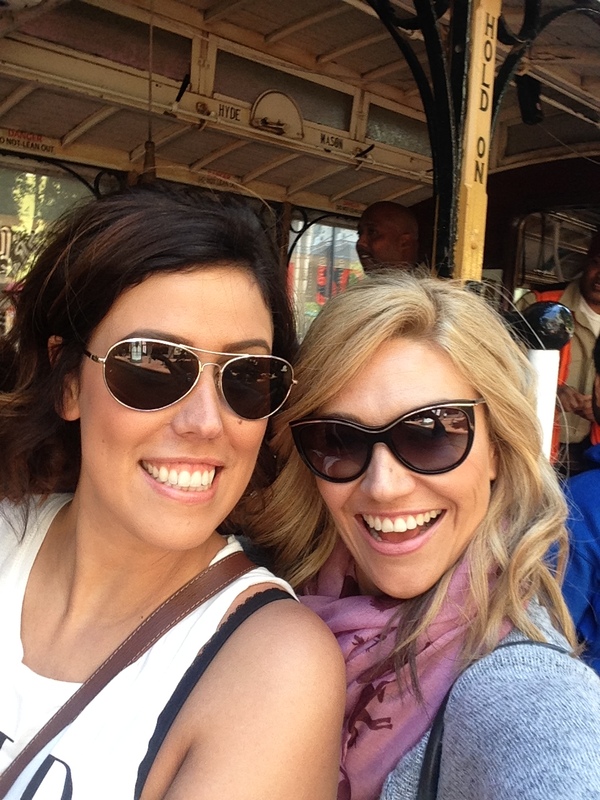 We then ditched the car and it was us and the trolleys for the rest of the day. 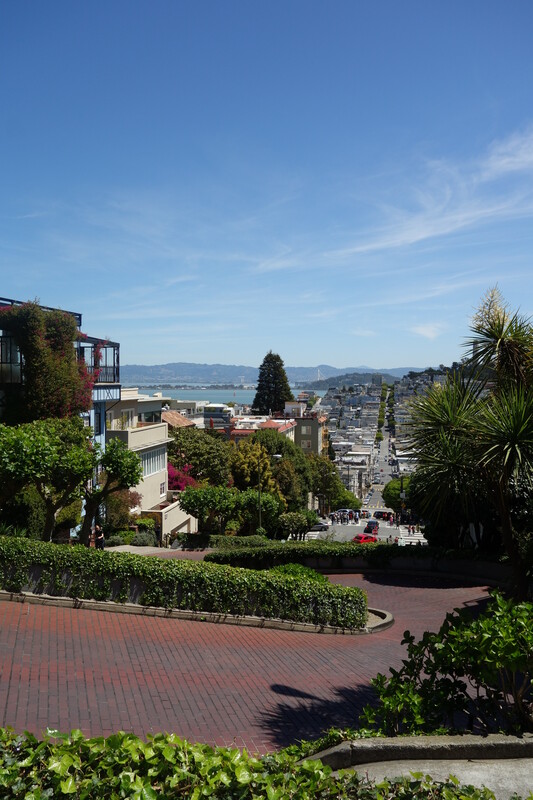 We got on in Union Square and took it down to Lombard Street, we specifically requested to stand on the outside and it was totally worth it, so fun! 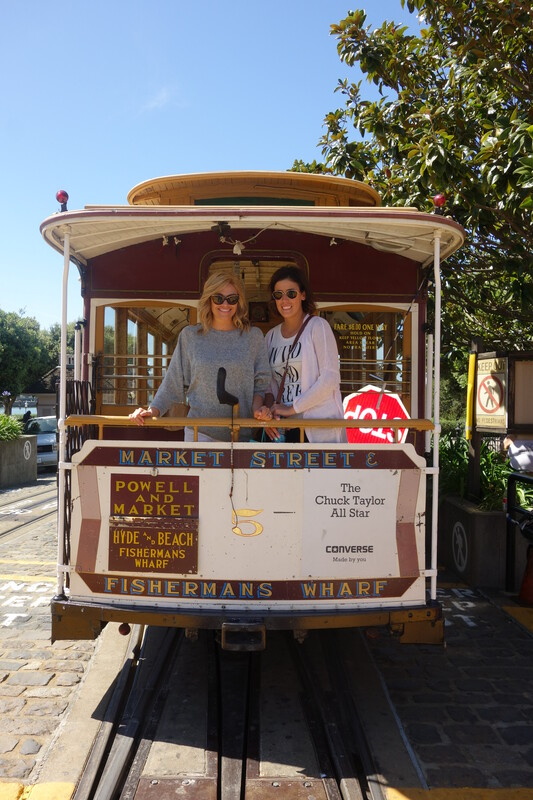 The cable cars were one of my favourite things of the day, it’s such a great way to see the city and they’re so unique to San Francisco. I took a lot of pictures from that vantage point! 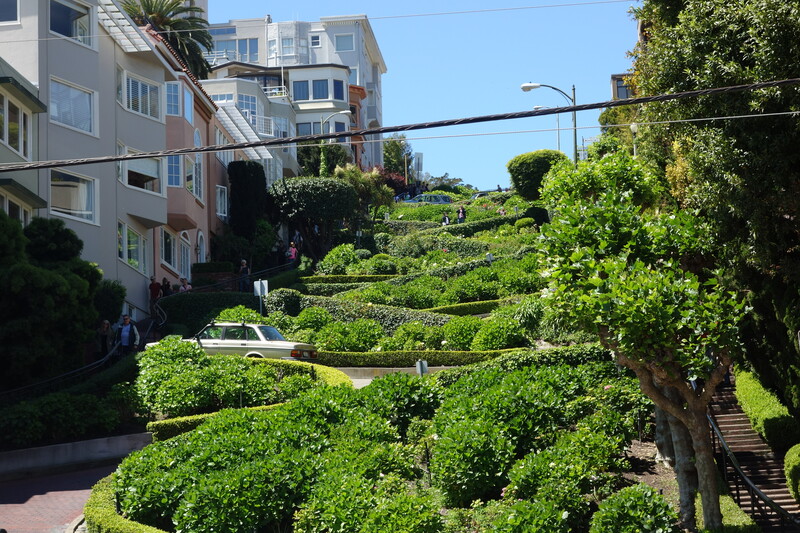 We stopped at Lombard Street, which is famous for it’s steep one block section and 8 hairpin turns. It’s so neat and the greenery around it was in full bloom. 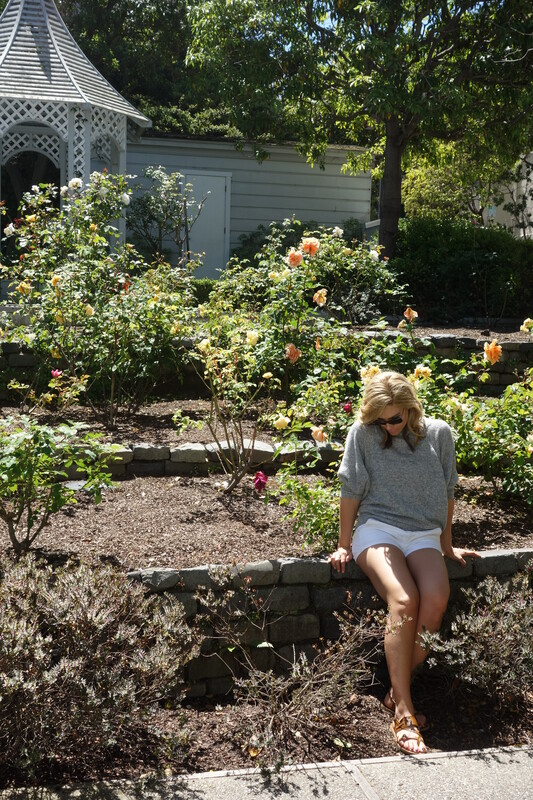 We then walked down to Fisherman’s Wharf, on the way there we stumbled upon a quaint urban garden with the most beautiful peach roses. It was such a gorgeous juxtaposition to see among all the buildings and crowds. 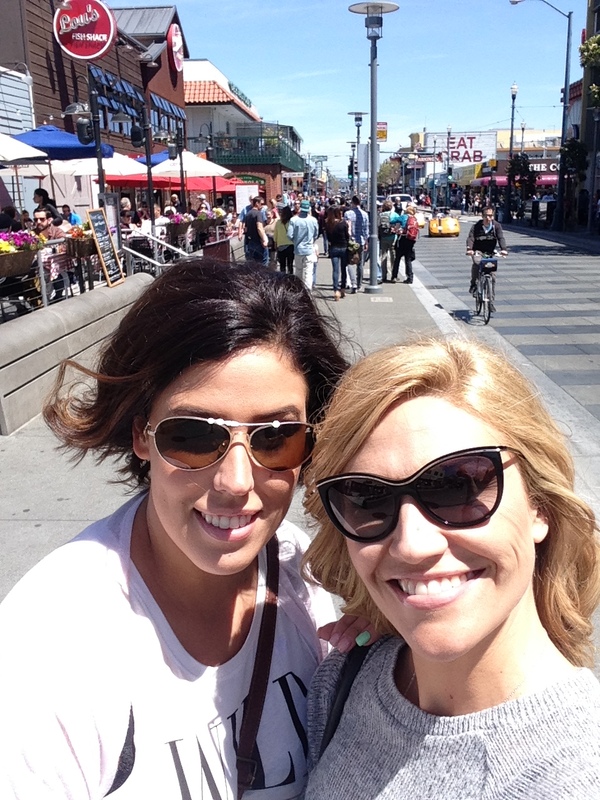 Fisherman’s Wharf was jam packed! 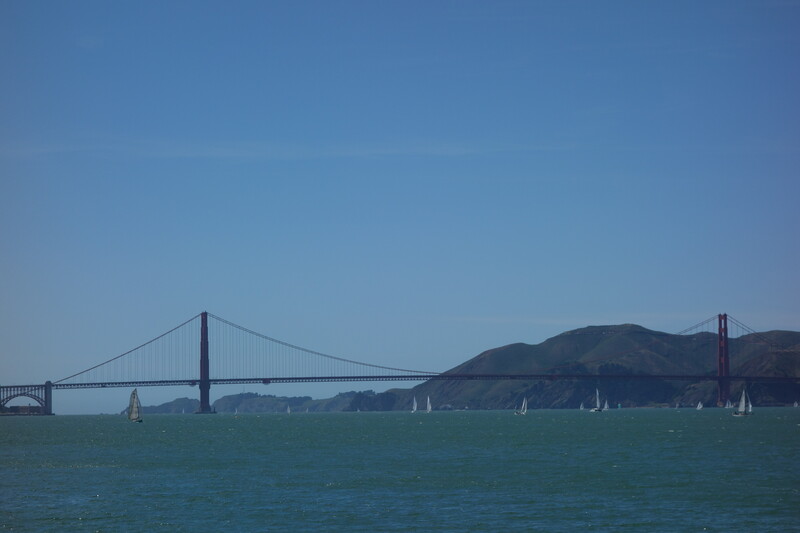 It was the kick off day to sailing season so the water was packed with sail boats, it was really something to see! 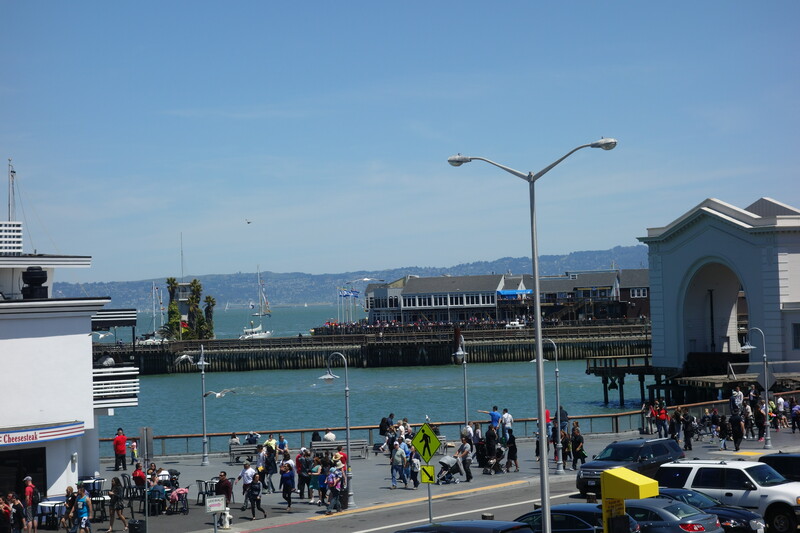 We ate lunch at Boudin Bakery and had a great view of the water. 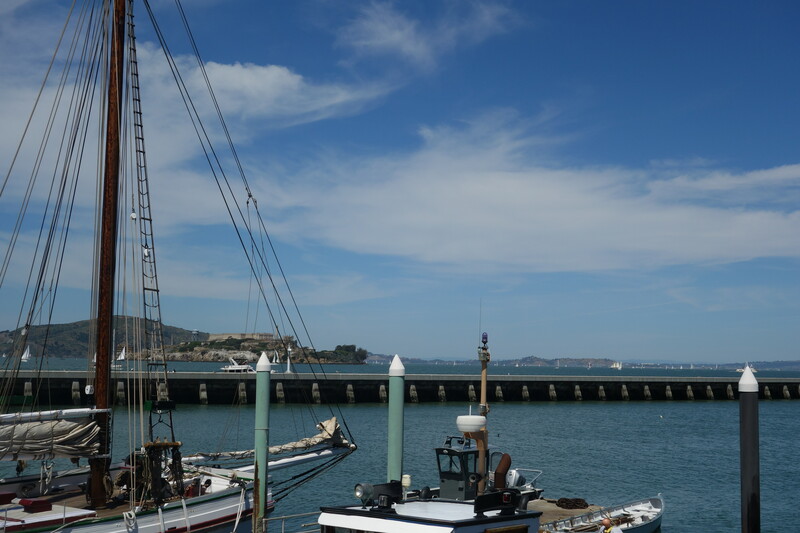 We then took a long walk down some of the docks and on the beach, inching closer to the Golden Gate Bridge. The views are awesome and I wish I had more time to explore. 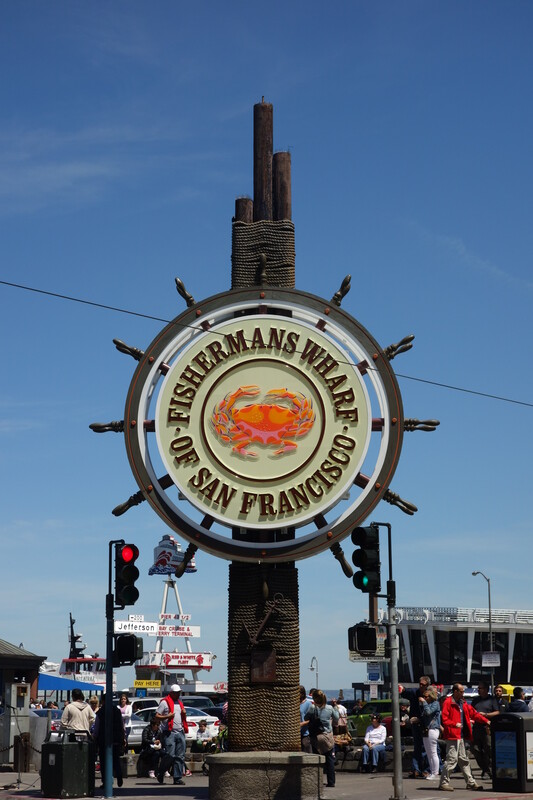 We were so pressed for time, and walking from Fisherman’s Wharf to the Golden Gate Bridge takes about an hour and half so we walked as close as we could to take some good pictures then turned back to Ghirardelli Square. Next time I go I want to rent bikes and ride across the bridge, or even do that walk to the top. 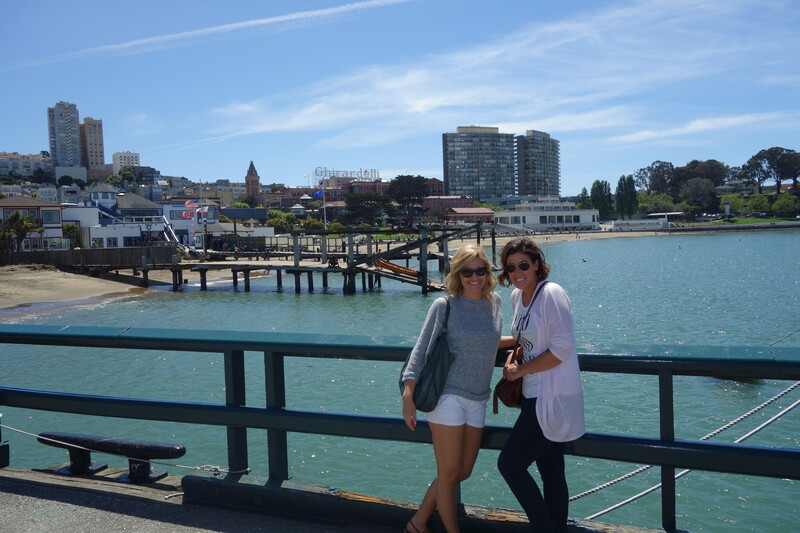 We strolled along the beach back to Ghirardelli Square and stopped there for a treat and some souvenirs. We got so lucky with the weather, it was perfect. Sunny all day but not too hot, with a breeze on the water. 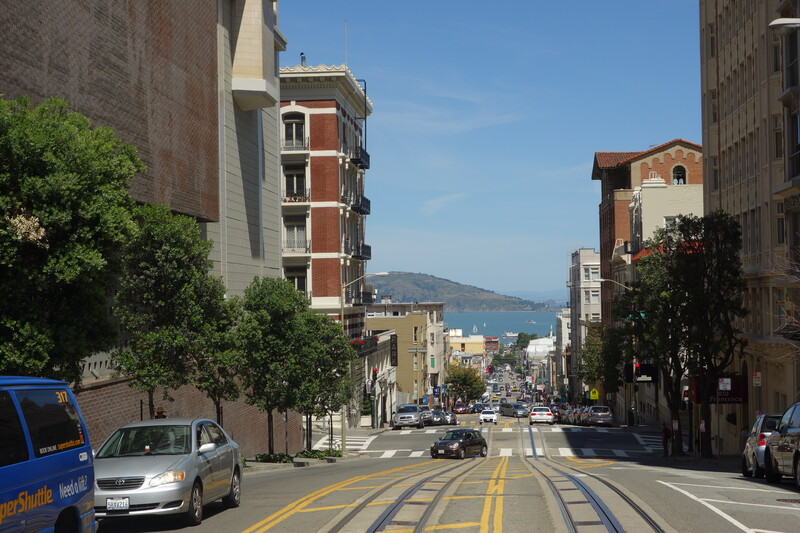 We got back on the cable car to make our way to Union Square for one last drink (after stopping to shop for shoes!) before heading back to the airport. A lot of wine went in my mouth over these few days! What a fantastic 12 hours it was, obviously way too short but still amazing! 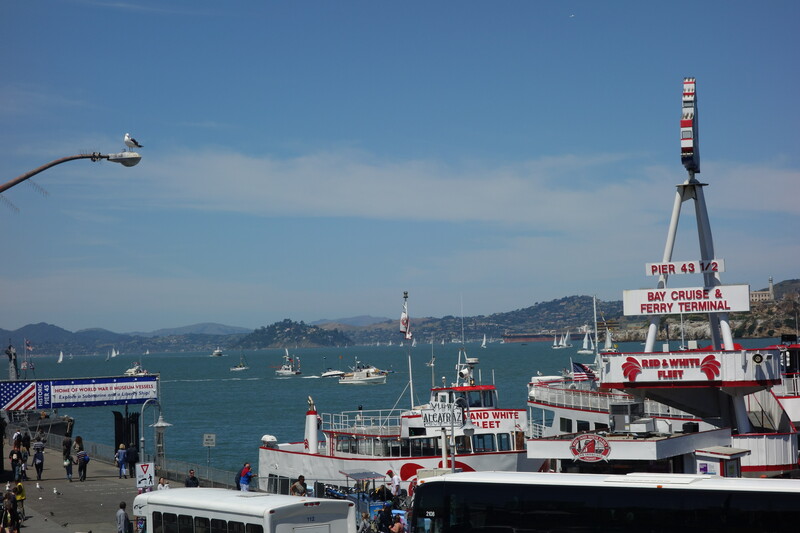 Next time I go I want to bike the bridge, explore Chinatown, take a boat tour, do some shopping in Union Square and definitely experience some of the local cuisine. 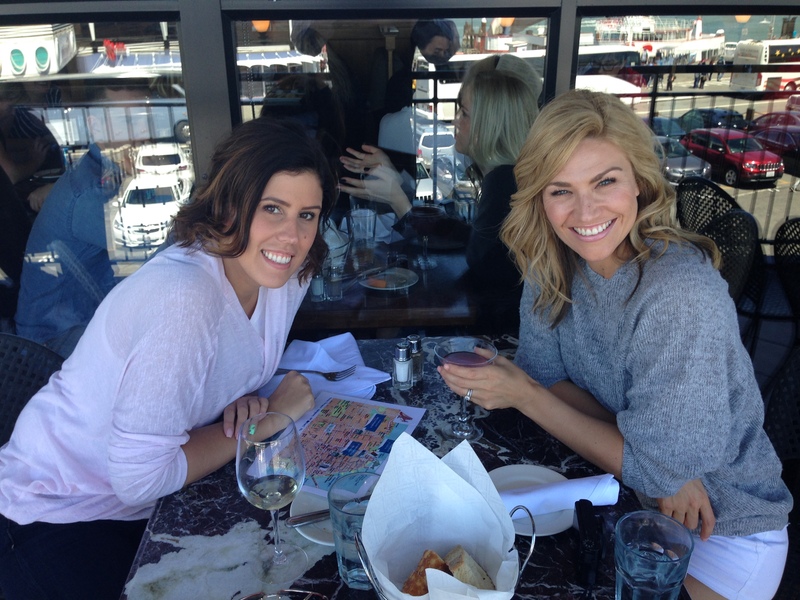 Erin is the best travel partner, the day was full of laughs, great conversation and friendship! I would do this crazy trip again in a heartbeat. In these pictures I’m wearing shorts from Express, a sweater from Asos, sandals are from Aldo (no longer available but they have a lot of cute sandals for this season that I have my eye on), and my favourite bag to travel with is Balenciaga. The pink horse print scarf I picked up at a little shop in Paso Robles, it doesn’t even have a tag on it, similar here.